Vue Cinema goers who park in the River Street multi-storey can have their parking token validated by staff at the sales counter inside the cinema so they have to pay ONLY £1 for up to 4 hours. Plenty of time to enjoy a movie and grab something to eat. South of the River parking accessed by a short walk over Town Bridge or the new Riverside footbridge - spaces at Bedford College (pay and display evenings and weekends) and Bedford Borough Council’s various car parks, including a large area accessed off the Prebend Street Bridge. 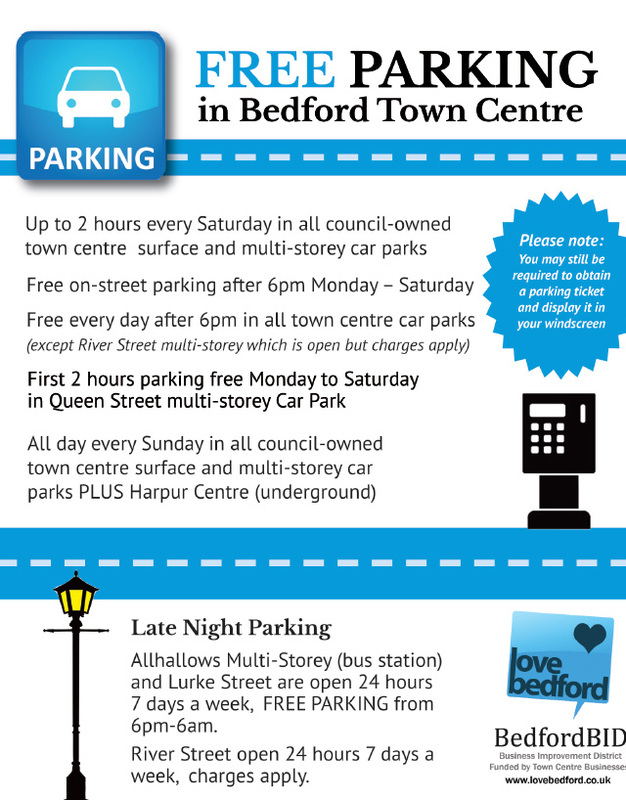 For information on Bedford Borough Council car parks and tariffs please visit the website at www.bedford.gov.uk/transport_and_streets/parking.aspx.